You might wonder why we focus so much on YouTube. Simply put, a third of all online activity is spent watching videos, with much of this being on YouTube. 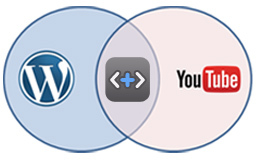 Mix that with YouTube's extensive API and the fact that over 20% of all websites are powered by WordPress, we're covering quite a bit of ground.